As the autumn winds start to blow, it’s time to get crafty and make jack-o-lantern jar crafts, recognize your teens’ talents on International Artist Day, and settle in with cozy new book releases. October is also Bullying Prevention Month, and you’ll find plenty of resources for prevention and conflict resolution in the October Teen Activity Calendar. 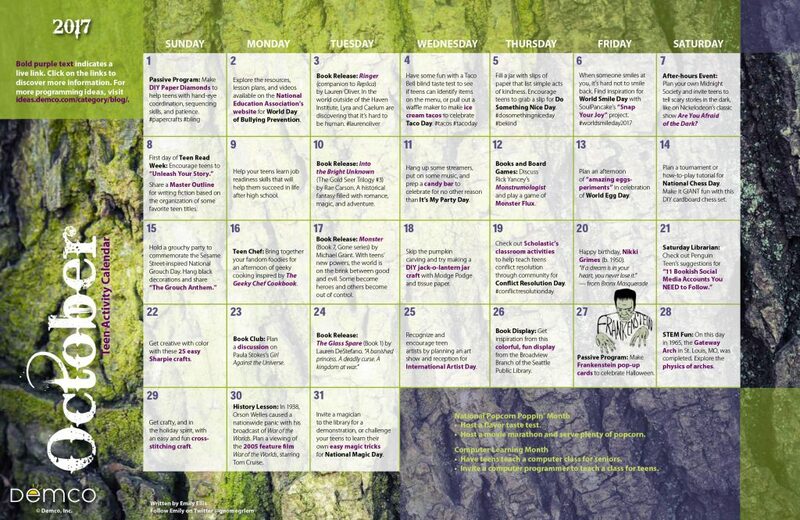 Download a printable 8.5″ x 11″ version of the October 2017 calendar. 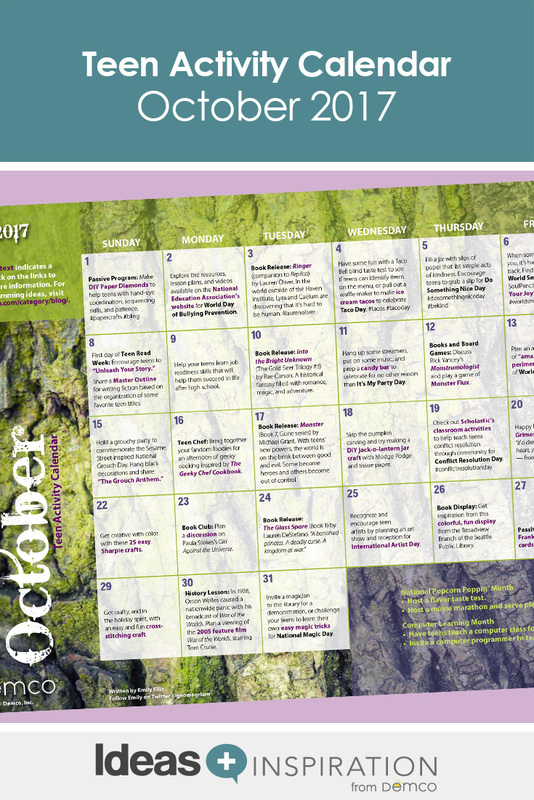 Download a printable 11″ x 17″ version of the October 2017 calendar. Is there one for September 2017?